Kokanee class of 2018 looks to be a good one! 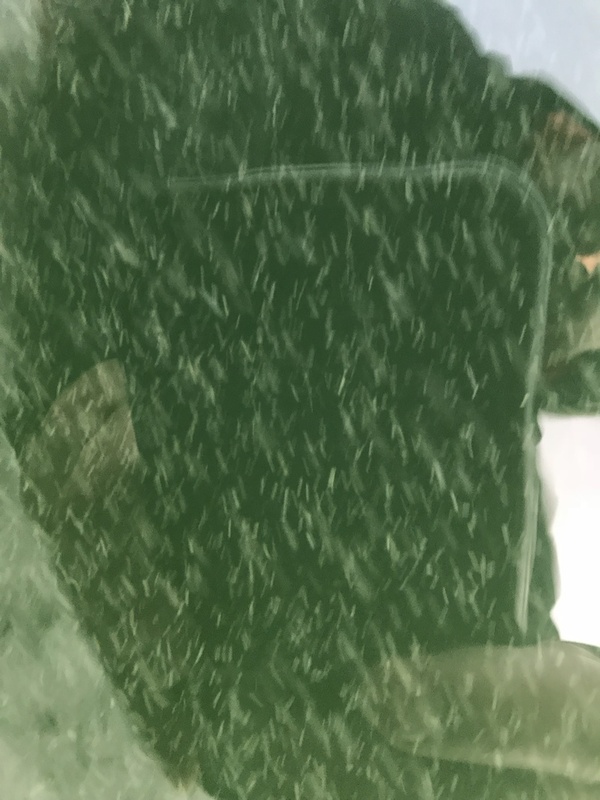 Tough taking selfie fish pics, but I caught and released all the Koke's I caught today so quick pics were in order..
Kokanee fishing on Whiskeytown Lake during the winter is not frequented by area anglers during the winter months. 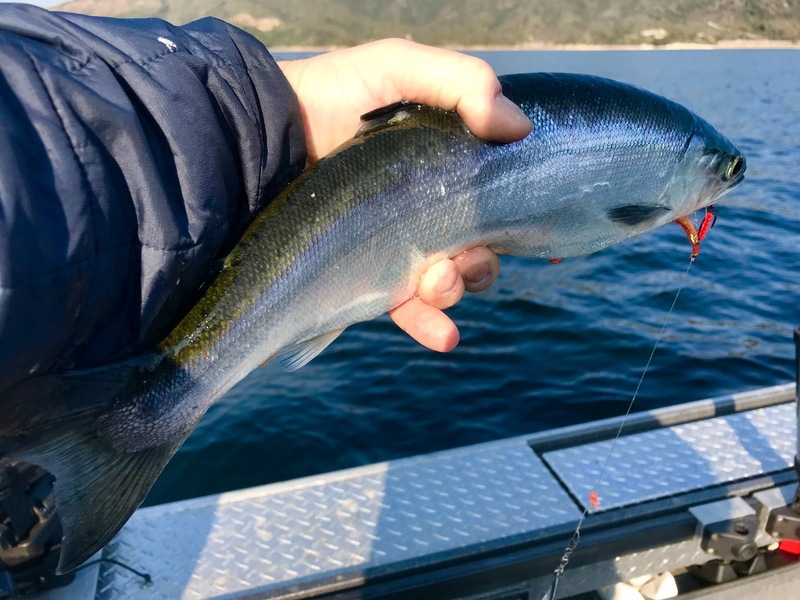 Although Kokanee can be caught this time of the year, they are normally small and often times the bite is slow. I ventured out to Whiskeytown on a scouting trip just to see how our class of 2018 is shaping up. I was initially met with low water levels, a howling wind, and a lot of debris in the water but by mid morning things had settled down. After covering a bunch of water, I found a short bite and four healthy Kokanee to the net, one of which measured 16". 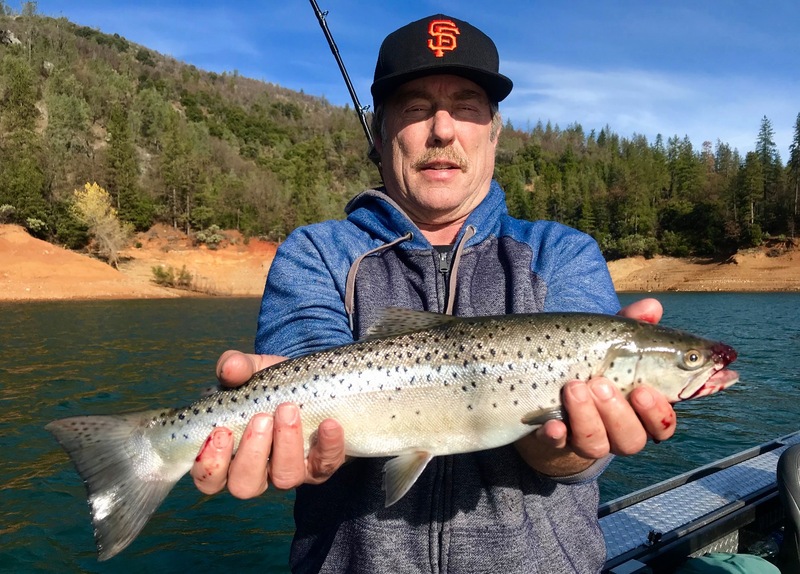 The bite will remain slow until spring, but there are some larger than normal specimens swimming around Whiskeytown getting bigger every month. This spring and summer should provide yet another exceptional Kokanee salmon season that no one should miss. Its the best Kokanee salmon fishery in the state right now and my clients will once again be going home with heavy bags of Kokanee salmon fillets. 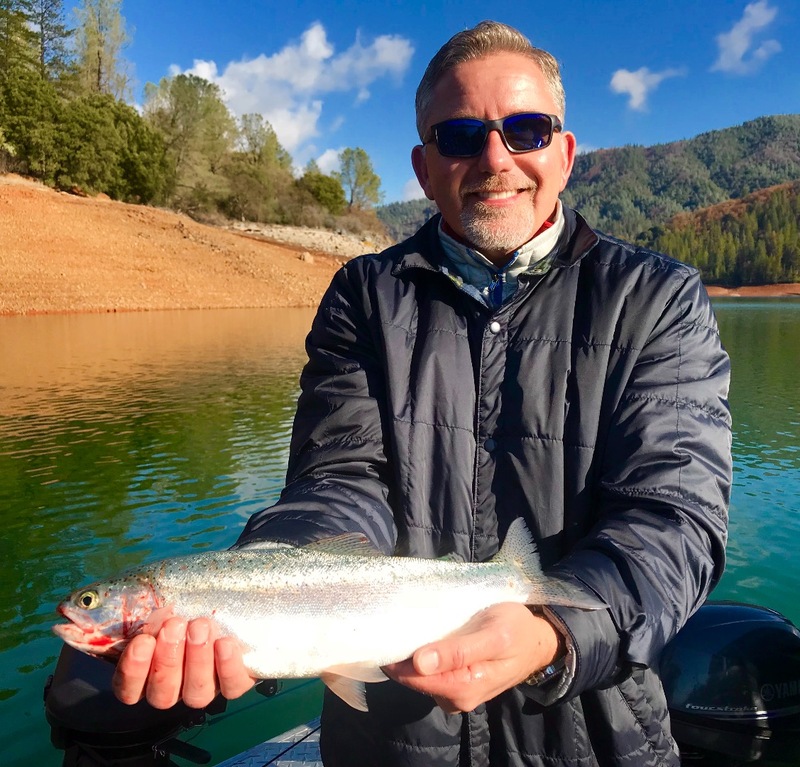 Those of you interested in experiencing some of the very best Kokanee salmon fishing in California should make your fishing trip plans now! May thru August are the peak months to fish Whiskeytown for Kokanee. I'll surely have a busy schedule come spring so stay tuned to future reports and I'll be sure to let everyone know when its "GO" time! 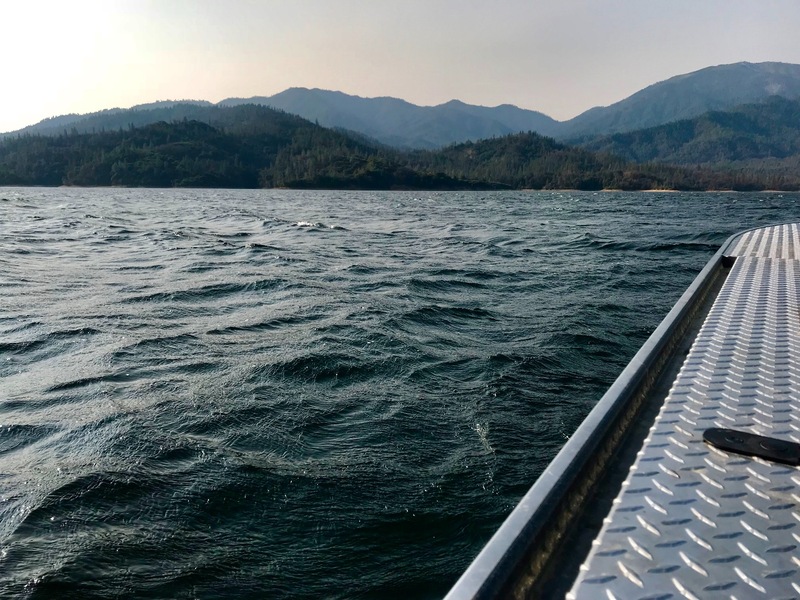 Covering lots of water for Shasta Lake trout. Shasta Lake trout bite up and down.